Notes: There are different brands of black soldier fly larvae. Their nutritional values are different between each brands because they are fed different diets and raised on different bedding mediums. Phoenix Worm is the most popular one, and it carries the best & safe calcium to phosphorous ratio of 1.52%. Another brand, Calciworm, contain a calcium to phosphorous ratio of 3.28%. This is too high and not safe for continued consumption by leopard geckos. 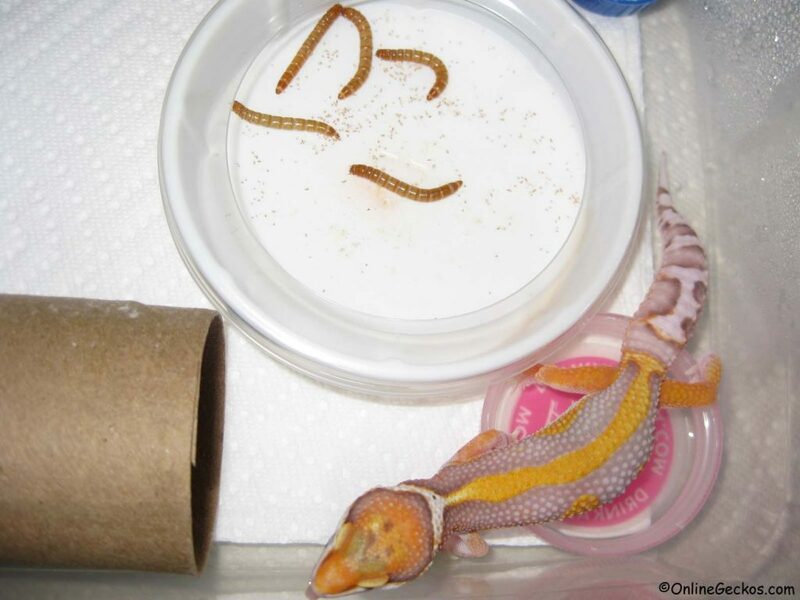 For leopard gecko feeding, we recommend going with the Phoenix Worm brand. We linked the source to nutritional values of these feeder insects. The amount of misinformation out there is mind boggling. For some feeder insects we had to dig through many many pages and websites before we found nutritional values backed by a reputable source. So be careful what you read. Leopard Gecko Feeding – Should I always dust with vitamins? Yes, the ideal calcium to phosphorous ratio for leopard gecko is 2:1. As you can see from above, none of the feeder insects hit the 2:1 ratio. Only Phoenix Worms come close at 1.52:1. Also vitamin D3 do not appear in sufficient amounts naturally in feeder insects even if you gut-load them. For diurnal species such as iguanas and bearded dragons, they can bask under UV and synthesize vitamin D3 from UVB. Since leopard geckos are crepuscular, they get very limited exposure to UV even in nature. Vitamin D3 is required for proper absorption of calcium. It is important to always dust your feeder insects with a good multivitamin supplement prior to feeding them to your geckos. There are two brands we recommend, Repashy Calcium Plus and Zoo Med Reptivite with D3. Both of these are quality, all-in-one calcium powder with added vitamins, trace minerals, and carotenoids for dusting feeder insects. Both contain a 2:1 calcium to phosphorous ratio, and both have vitamin D3. They are all-in-one so no further supplement is needed when you dust your feeders with these products. 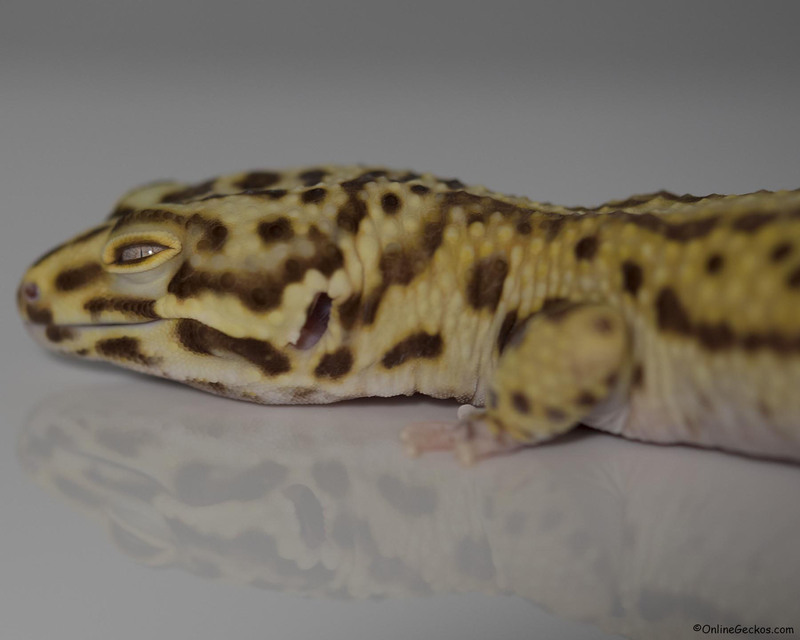 Read our detailed leopard gecko vitamin supplement and dusting guide here. When choosing what feeder insects to use, variety is the key. Feeder insects vary in nutritional value, some contain more fat, others contain more protein. 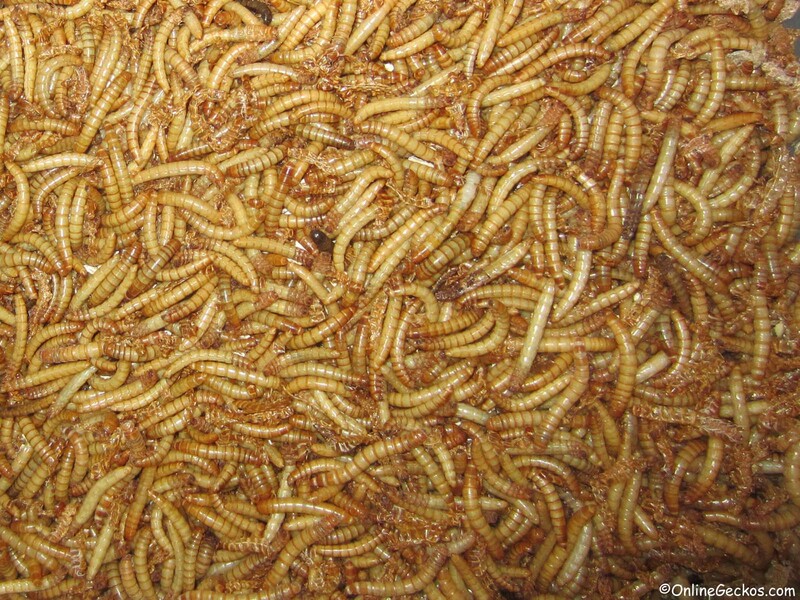 Most feeder insects lack in calcium to phosphorous ratio except for Phoenix Worms. We recommend feeding your leopard geckos a good variety so they can have a balanced diet. For an example, if you feed a staple diet of superworms to your geckos, you know they are high in fat and contain below average protein. Every other week you can switch it up by introducing crickets (low in fat, high in protein), then another couple of weeks you can introduce phoenix worms (low in fat, average protein, high in calcium/phosphorous ratio). This variety will give your leopard geckos a much more balanced diet. Even if you choose to feed high nutritional value feeders such as dubia roaches, which are low in fat and high in protein, you still should introduce a variety. We recommend adding Phoenix Worms to the mix for added calcium and yum values. We call it yum values because leopard geckos tend to love these soft yummy treats. Plus the way they move around stimulates gecko’s feeding. Yes, you should always gut-load your feeder insects 24 hours prior to feeding them to your leopard gecko. Some feeder insects can not be gut-loaded, while phoenix worms should not be gut-loaded because they will foul the medium and allow bacteria & fungal growth. Make sure you read up about your feeder insects before gut-loading them. Some feeder insects gut-load better due to their larger digestive tracts, feeders such as crickets and dubia roaches are great at gut-loading. Other feeder insects such as mealworms & superworms are not so good at gut-loading due to smaller digestive tracts. Gut-loading your feeders will ensure they are full of moisture and nutrients when you feed them to your geckos. It’s worth noting leopard geckos get majority of their moisture needs through feeders they eat. While they do drink water, water is scarce in their natural wild habitat. They have evolved to adapt to the dry arid environment by absorbing moisture from the insect feeders they eat. They also do not urinate, they pass urates to conserve loss of water in their bodies. This is why gut-loading is important. Carrots, leafy greens, fruits, and oats/bran are all good for gut-loading. Leopard Gecko Feeding – Where to buy? The availability and cost of these feeder insects play a big role in choices hobbyists make when determining which feeder insects to buy. We recommend Rainbowmealworms because they have a wide selection of feeder insects, their prices are good, and they ship fast and hassle-free. We have purchased from them for many years. Get a 10% off Coupon on your next order at Rainbowmealworms here. When you click on the link to Rainbowmealworms, a window will popup on the lower left hand side of your screen. Simply sign up with an account and make a purchase, you’ll be able to utilize the 10% off coupon with your order. Some feeder insects are more readily available in local pet stores. Feeders such as crickets, mealworms, superworms, and waxworms can usually be found locally. However they are usually secondhand quality. Local pet shops don’t normally breed their own feeders. While some of them do breed feeders such as crickets, they aren’t well taken care of. Most get supply shipments from feeder stores, and these feeders just sit on the shelves until they die. Rainbowmealworms for an example, breed many of the feeder insects they sell. When you buy from online feeder stores, you will have a wider selection to choose from. Not only are they often cheaper than local pet stores, they come fresh direct from those that bred them. So you can expect higher quality feeder insects. If you have multiple leopard geckos, you can also buy in bulk to save money and time. Another good place to buy feeders in bulk is on Amazon, since sellers are often competing against each other which could result in lower prices. We’ve found some good prices on bulk superworms, mealworms, dubia roaches, waxworms, crickets, and hornworms. Be sure to get yourself escape-proof feeding dishes such as OMEM Ceramics Made Worm Dish. Smooth surface and inwardly curved walls make them perfect dubia roaches & mealworms escape-proof feeding dishes. Some feeder stores will sell you a dubia roach breeding colony. They’ll send you a male and a handful of female adults. Since dubia roaches are easy to breed, you can have your own feeder colony in no time. Having your own feeder colony will reduce your feeder expenses in the long run. If you own many geckos, not just leopard geckos, but perhaps different species of reptiles. Often these feeders are suitable to be fed to most if not all of them. There are many feeder insects you can breed. Among them, mealworms, superworms, and dubia roaches are the easiest to get started. They also require less special care and attention. Picture below is a stowaway compartment box used to breed superworms. They are easy to use and they keep the superworms separated, which is required for them to start the morphing process. 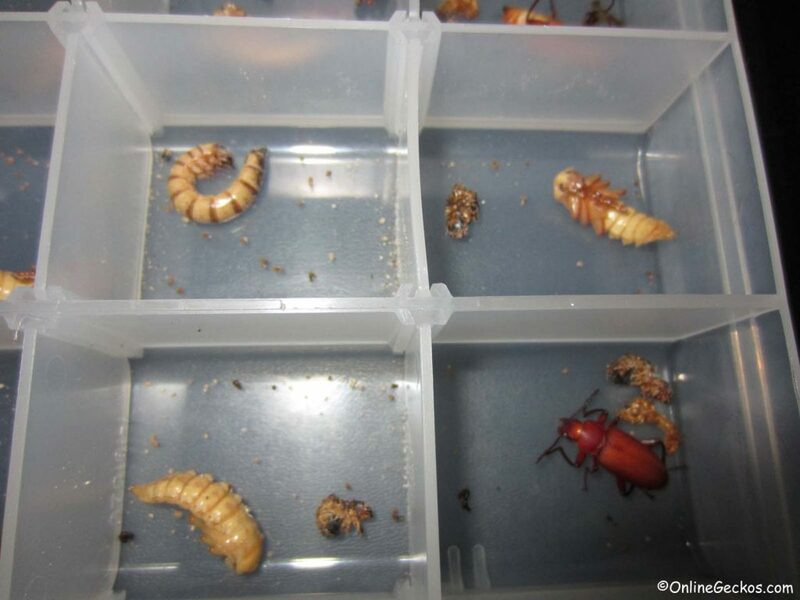 The picture captures the different stages of superworm metamorphosis (superworm > pupa > beetle). For mealworms and superworms, you want to use Wheat Bran bedding. Place them in a 6qt shoebox container. You want to gut-load them with fresh veggies such as carrots and leafy greens 24 hours prior to feeding them off to your geckos. It’s important to remember you can only refrigerate mealworms if you want to prolong their lifespan. Refrigeration will slow the pupating process of mealworms. Superworms must not be placed in the refrigerator or they will die. Phoenix Worms should be kept in the bedding they come in. They should not be fed or gut-loaded or they will foul the bedding medium, causing mold & bacterial growth. Crickets should be kept in a cricket keeper container, or a very tall sterilite storage box. Egg flats should be placed inside to give crickets more room. There are specially formulated cricket gut-load diet such as Fluker’s High-Calcium Cricket Diet that will work well for feeding your crickets. You will also need to provide a water source, Fluker’s Cricket Quencher works best here as it’ll keep the cricket container dry. If you use plain water, it can get messy. The cricket container will get wet, and you will likely have mold growth and cricket deaths as a result. Dubia Roaches should be kept in a large tall Sterilite storage container. You’ll want to place egg flat crates inside the container on their sides. This will provide living space for your roaches. 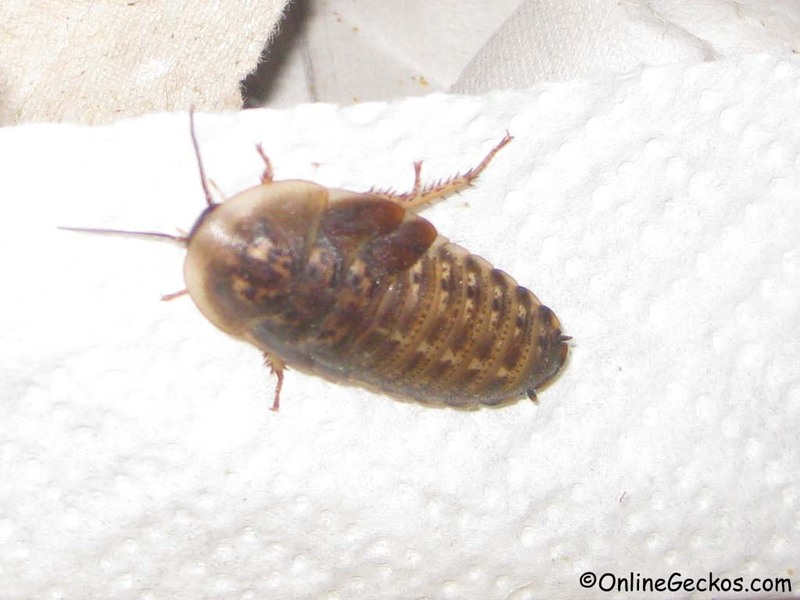 By placing the egg flats on their sides, the roaches’ feces will fall to the bottom of the container. You can feed your dubia roaches whole grain cereal, fresh veggies/fruits, and oats/bran. Use water crystals to provide water to keep their living environment dry. Dubia roaches can not climb smooth walls nor do they fly. Waxworms should be kept in the same bedding/container they get shipped in. They can not be fed or gut-loaded. Keep them dry and don’t place them near a warm/humid spot, or they will die off really fast. Hornworms are often shipped in a habitat cup, so no special care is needed as the cup comes with food. Silkworms are fed on mulberry leaves or silkworm chow. If you intend on keeping them longer, make sure you have food. Insects in the wild can carry diseases and parasites. They often also come with pesticides in them since they feed on greens in the wild. Bottom line is you never know what wild insects carry, so you should never catch wild insects and feed them to your leopard geckos. You want to feed your geckos captive bred feeder insects.